Billionaire hedge fund manager David Tepper is the new owner of the NFL’s Carolina Panthers and is the latest in a growing list of Jewish American NFL team owners. Last Wednesday Tepper purchased the team for a record $2.3 billion from Jerry Richardson, who decided to sell the team after reports accusing him of workplace misconduct, including sexual harassment and the use of a racial slur. NFL team owners are expected to approve the sale later this month, JTA reported. “I am thrilled to have been selected to be the next owner of the Carolina Panthers,” Tepper, 60, who has given to Jewish causes, said in a statement. “I have learned a great deal about the community and the team over the past several months and look forward to becoming part of the Carolinas.” Tepper was a minority owner of the Pittsburgh Steelers since 2009, JTA reported. David Tepper is a billionaire investor, hedge fund manager and philanthropist. He is the founder and president of Appaloosa Management, a global hedge fund based in Miami Beach, Florida. After earning his MBA in 1982, Tepper accepted a position in the treasury department of Republic Steel in Ohio, in 1985 he was recruited by Goldman Sachs. He left Goldman Sachs in 1993 to start Appaloosa and made his billions since then. Tepper had held a 5% stake in the National Football League’s Pittsburgh Steelers under controlling owner Art Rooney II prior to 2018. He reportedly donates around $25,000 annually to ORT America and has funded Chabad on Campus. Tepper in 2006 donated $1 million to United Jewish Communities of MetroWest New Jersey toward their Israel Emergency Campaign, JTA reported. Tepper joins the growing list of Jewish NFL team owners including: Arthur Blank who owns the Atlanta Falcons, Malcolm Glazer (Tampa Bay Buccaneers), Robert Kraft (New England Patriots), Jeffrey Laurie (Philadelphia Eagles), Stephen Ross (Miami Dolphins), Daniel Snyder ( Washington Redskins), Steven Tisch (NY Giants) & Zygi Wilf ( Minnesota Vikings). 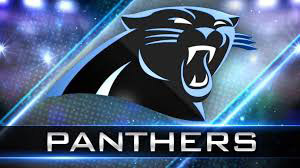 In the 2017 season, the Panthers finished with a 11-5 record and a #5 seed and lost to the New Orleans Saints 31-26 in the Wild Card Round, their first loss in that round in franchise history. The franchise had made 8 playoff appearances since their inception in 1995 and won their division 6 times. They have yet to win a league championship.